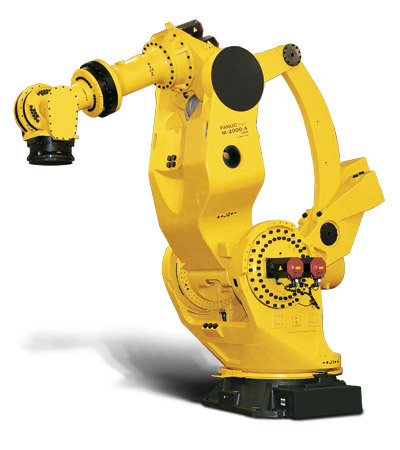 Up until the introduction of the M-2000iA/2300, the M-2000iA/1200 was the strongest 6 axis robot on the market. 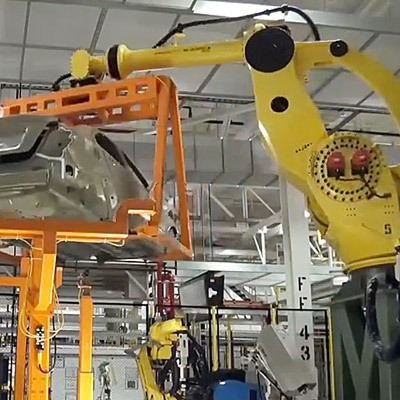 But this powerful heavy-duty robot still has what it takes to satisify all but the most very demanding of high-payload material handling applications. 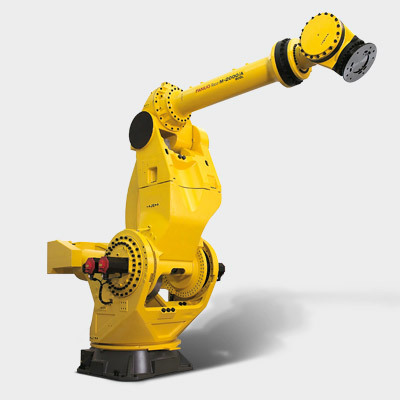 Capable of mastering enormous payloads of up to 1200 (1350) kg, this robot stands out as the most powerful of all the FANUC robots. 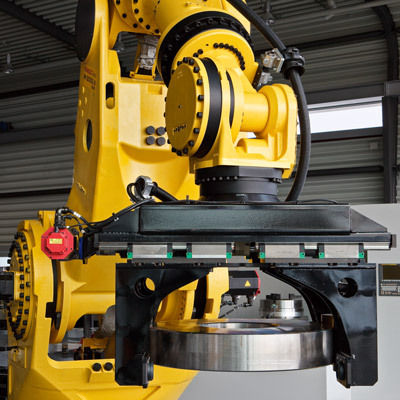 With one FANUC M-2000iA robot doing the work of 2 to 4 conventional robots, robot systems have just become much simpler, more reliable and easier to reprogram. With a 1250 mm offset this powerful model is ideal for handling and palletising ultra heavy structures and products. 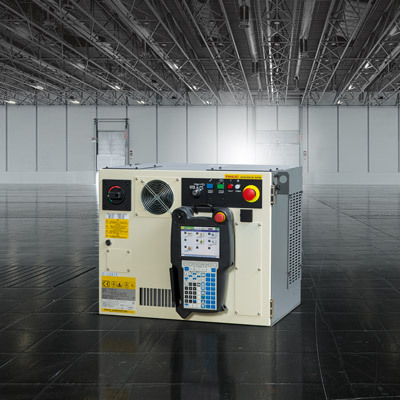 With its huge payload and reach the FANUC M-2000iA can do the work of conventional cranes, lifters and shuttles to increase production and eliminate the need for dangerous manual work. Discover the M-2000iA/900L featuring 900kg payload and a reach of 4683mm. Heavy-duty robot machines a 1300 kg set of train wheels.